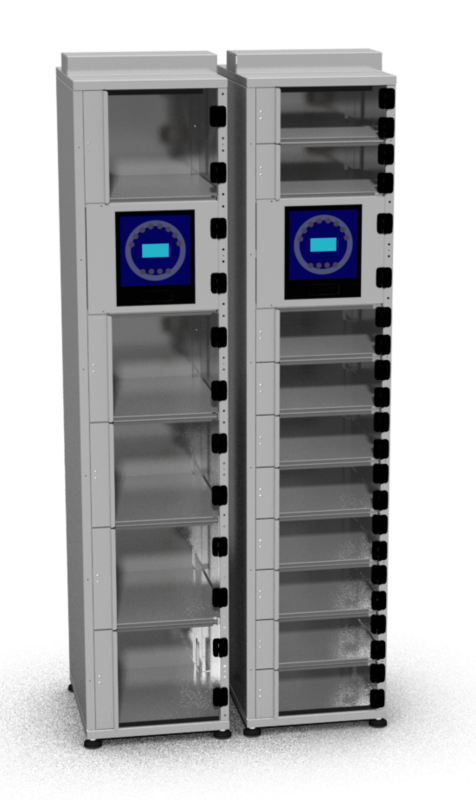 The Master column consists of 1 control unit, with 5 large or 10 small storage lockers. The Master column can be complemented with up to 32 additional columns consisting of either 6 large or 12 small storage lockers. The user logs in with their unique magnetic identification card and selects the locker he/she wishes to access. The control unit will then unlock the desired locker and record and update the user’s personal account. The locker system provides a high level of service to users due to its 24 hour accessibility. Personal or generic compartments. Articles are dispensed one by one or selectable. Can be extended up to 32 supporting columns. Supporting columns compartments in different sizes. For every 32 slave units, one master unit is required. Multiple Master units can be added and used together. Slave units with either 6 large compartments or 12 small compartments. 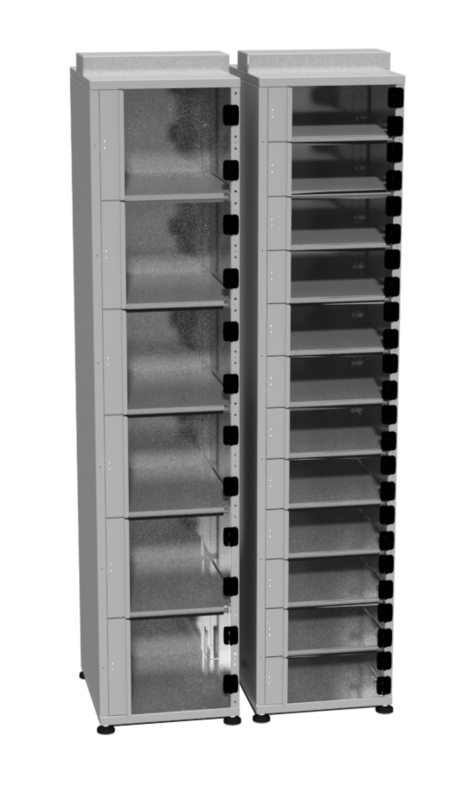 See Datasheet for compartment dimensions. *One master unit required per unit group.